Students in English and Creative Writing Studies read diverse authors from a wide range of histories and cultural traditions, produce and workshop their own creative writing, develop effective writing skills and critical thinking skills, and prepare for a wide range of rewarding career paths. As scholars, teachers, and published authors, our faculty have won major national awards. 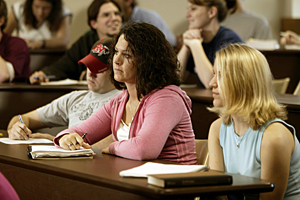 Small classes and student-focused classes make your learning our priority. Dig deep into literary studies from Chaucer and Shakespeare to the very best contemporary writing and present your original research. Publish your short stories, poems, or scholarship – or join the editorial board of one of our student publications. 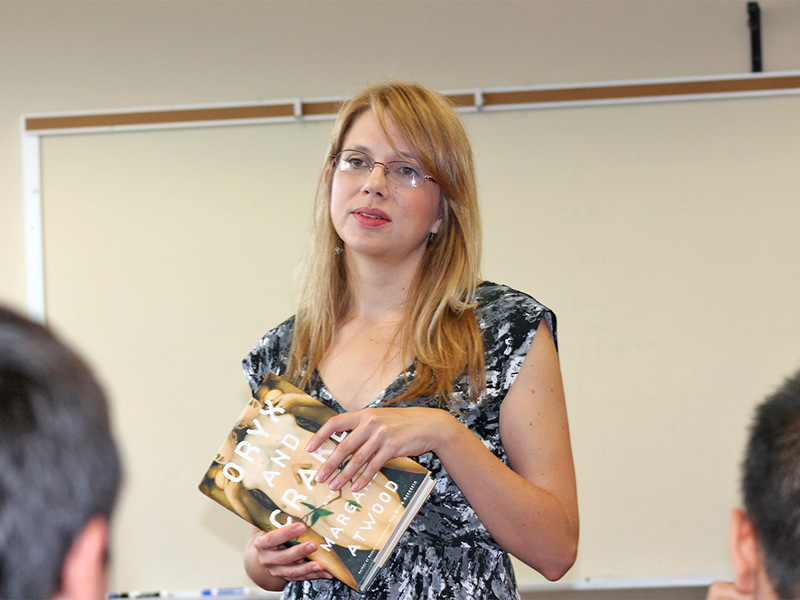 Learn to craft compelling Fiction Writing under the guidance of an award-winning novelist. Encounter the very latest in contemporary American and International poetry in Poetry Writing. Study the Global Middle Ages and learn about the Crusades, Arthurian legends, and Game of Thrones. Read Science Fiction and learn about the history of the genre. Be inspired by the powerful ways literature can speak out against racism, sexism, and other social inequalities in Rise Up! : Protest and Dissent in American Literature. Explore the history of monsters from Beowulf’s Grendel to vampires to Ridley Scott’s aliens in Our Monsters, Ourselves. Learn Shakespeare like you have never seen him before. Discover the connections among Literature, Medicine, and Culture. Peter Anderson, award-winning novelist, teaches creative writing and post-colonial literature. Tom Blake teaches medieval literature, pop culture medievalism, and gender studies. Alex Garganigo studies Shakespeare, early British literature, and science fiction. Greg Kinzer, English Department Chair, specializes in poetry, poetics, and literary theory. Roger Platizky explores British literature, gay and lesbian literature, and the relationships among literature, science, and culture. Randi Tanglen teaches early and nineteenth-century American literature with a focus on women, African American, and Native American writers. Suspension publishes a magazine of Austin College students’ poetry, prose, and art once a year. Suspension also sponsors several events throughout the year, such as open mic events. Anyone is welcome to participate with the general staff and selection meetings. All staff positions are open to applicants at the end of each academic year for the upcoming academic year. Acumen features the best of academic research submitted by Austin College students from all academic areas. 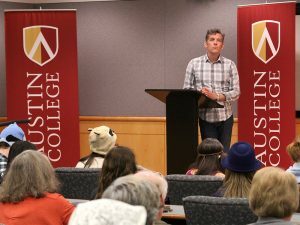 The journal aims to promote academic scholarship and the exchange of ideas, within and outside of the Austin College community.